A4 Static Cling Spec sheet holders are easy to fit pockets that are designed for multiple use and can be fitted in either landscape or portrait positions. This item is available with a white, blue, yellow green, red or clear trim. It is designed for a standard A4 spec sheet. Custom print on trim of holder is available on larger quantities. Need an instant quote? Call us on 025-31212 or use the live chat function. Car Spec Window Danglers are a great point of sale source of advertising for your motor dealership. 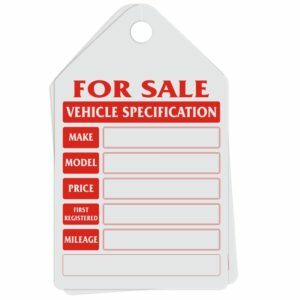 This product is used to highlight specification details of vehicles. Printing is available up to full colour two sided on 350gsm card. This product is fully customizable to suit your individual requirements and branding can be included as required. Corner Windscreen flashes are a great way to deliver vital at a glance information to potential customers. This durable product can be produced in a range of vibrant colours to light up your forecourt display. It can also be completely customized to fit seamlessly into your overall branding and showroom display. Popular Sizes include, 24″ x 4.5″ and 16″ x 3″. Orders can be broken down to include different captions i.e. 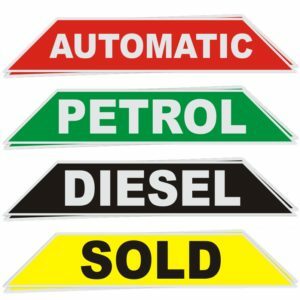 SOLD, DIESEL etc.. Display number plates create a professional look for your forecourt and car promotion images. 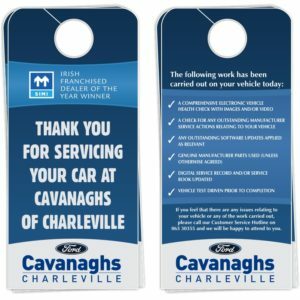 This product is manufactured from soft 3mm PVC foamex ensuring that they do not damage the vehicle during fitting or removal. They are completely customized to suit individual design requirements and fit neatly over existing number plates. This offers and inexpensive and professional form of advertising for your dealership. 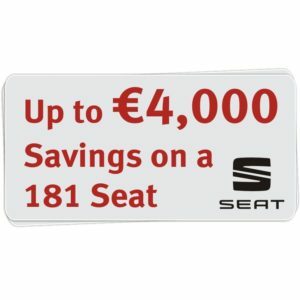 In Car Sign Boards are a great way to deliver vital at a glance information to potential customers. This durable product can be produced in a range of vibrant colours to light up your forecourt display. It can also be completely customized to fit seamlessly into your overall branding and showroom display. Popular Sizes include, 16″ x 12″ and 24″ x 16″. Orders can be broken down to include different captions i.e. FOR SALE, SOLD, DIESEL etc.. 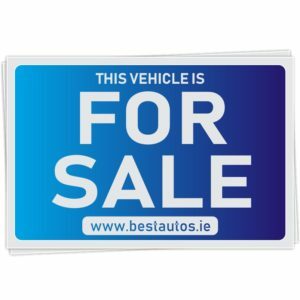 Magnetic signs offer an excellent source of vehicle advertising that can be easily removed when not in use. This is a high quality and durable product that has use in many industries including the motor trade, construction and fitness industries. 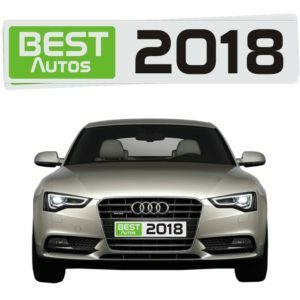 It is an ideal solution for small business owners who use their own car for work but want a professional touch that they can remove when the clock off. The most popular size for this product is 24″ x 12″. 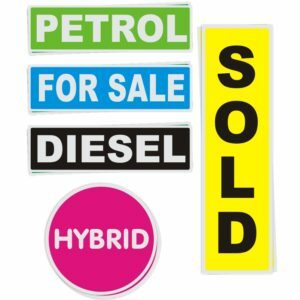 Promotional Window Danglers are a great point of sale source of advertising for your motor dealership. This product can be used to highlight specification details of vehicles, inform potential customers about offers or leave a lasting message when they collect their vehicle after maintenance. Printing is available up to full colour two sided on 350gsm card. This product is fully customizable to suit your individual requirements. 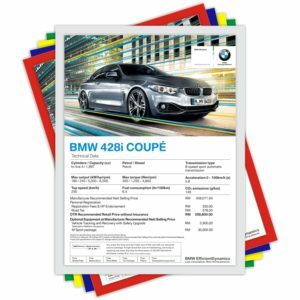 Windscreen flashes are a great way to deliver vital at a glance information to potential customers. This durable product can be produced in a range of vibrant colours to light up your forecourt display. It can also be completely customized to fit seamlessly into your overall branding and showroom display. Popular Sizes include, 9″ x 3″ Rectangular & Vertical, 12″ x 4″ Rectangular & Vertical, 6″ x 6″ Circular.